Camping not only provides you an opportunity to leave the daily grind of life behind and enjoy some peaceful time closer to nature, it also offers numerous health benefits. It aids in fighting with depression and anxiety. It lowers stress levels and keeps us away from several diseases. Tents: You need a shelter under the clear sky for camping and tents can offer you that shelter. Make sure that all the essentials of tents i.e. tools required to fix it are also packed. Sheets, Blankets, and Pillows: Your camping checklist is incomplete if you haven’t included sheets and pillows. Also, take blankets with you if your campsite is in a colder area. Air Mattress: Air mattresses offer great utility since they are easily portable. They can be packed easily with other essentials; hence, include them in your tent camping checklist. Along with air mattresses, do not forget to carry an air pump and a repair kit. The former will be used to fill the mattress while the latter can come in handy if the air mattress has turned faulty. Utensils and Canned Food: When planning for tent camping, make sure you are taking eating and cooking utensils with you. Cooking food right there at the campsite is going to double up the fun of your camping. Carry canned food items with you as well since they can come in handy during camping if you cannot cook food due to any reason such as bad weather etc. Furthermore, pack plates, measuring cups, water jugs/buckets, thermos, and other such essential utensils when heading for tent camping. Medical Essentials: It is important to carry medical essentials with you for camping. In case of an injury or disease, these medical essentials can prove to be useful. Carry extra quantity of personal medication. Moreover, also pack hygiene products such as soaps, hand sanitizers, tissue papers, napkins etc. as well. Other Important Items: Apart from the items mentioned above, there are numerous other essentials you must not miss packing for camping. For example, trash bags, mat, hammer, ziplock bags, rain gear, towels etc. Pack your comfortable shoes, weather appropriate clothes, and a laundry bag as well. If you are looking to buy these camping necessities, head to Camping Gear Supplies. 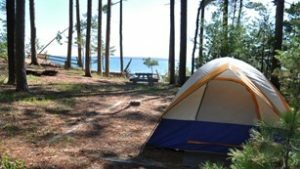 We are every camper’s go-to shop for high-quality, durable camping supplies and tools. Explore a range of camping products we offer and buy them at reasonable rates.